A Trendy Life. : Planning Your Time. Have you planned to do your works in this week?Have you written down all your plans? To keep your plans on track,you can use a weekly planner. If you don't have any idea about how to design a template "DON'T WORRY". 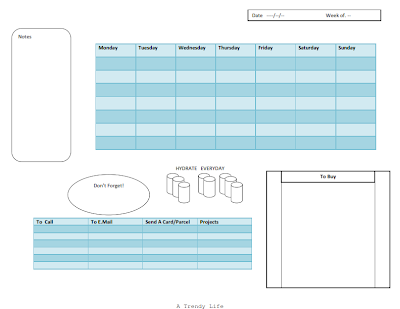 You can use the below Weekly Planner template to plan your weeks.You can customize the template according to your work categories.